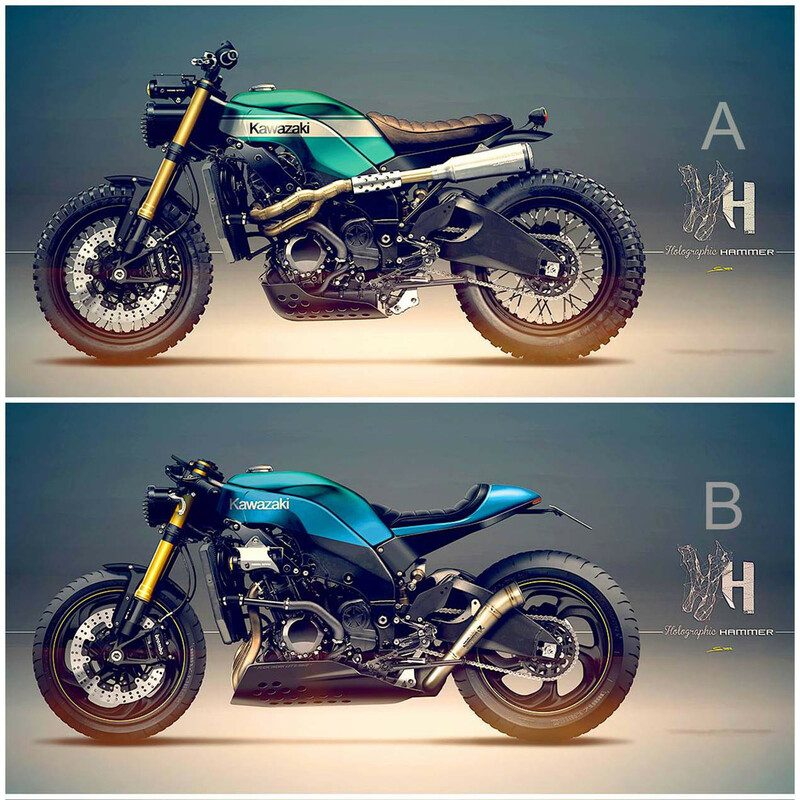 Holographic Hammer have created a rendering of a ZX-10R Scrambler. This retro-styled bike features knobbly tyres, and a bash plate attributed to the Scrambler design. Option A is now being built for Baru motorsport in Indonesia. 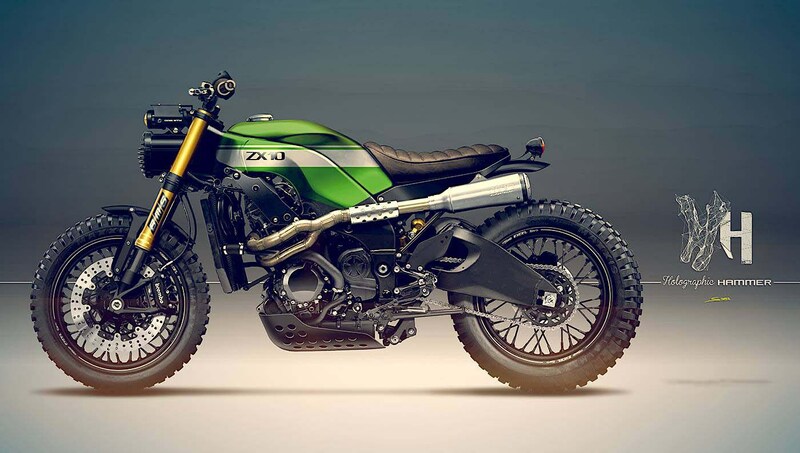 Personally I feel 450cc is plenty when going off-road but it sure would be fun to watch an additional 3 cylinders and 550cc slamming down a dirt track.